For a few years now the HD remix/remaster/re-release trend has been pretty hot in gaming. Everything from classics to underappreciated gems have been dusted off for re-release on current consoles. Usually these re-releases come with some improvements that range from better resolutions and framerates to added bonus content. 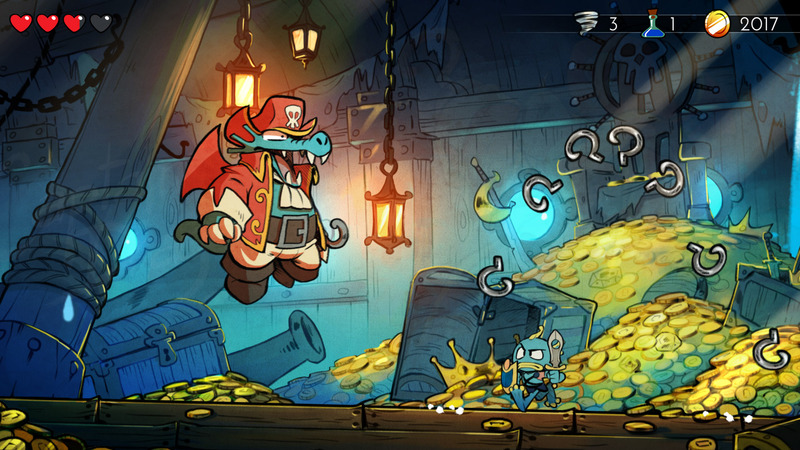 Once in a while, all the art assets and music are totally redone, which is the case here with Wonder Boy: The Dragon’s Trap. 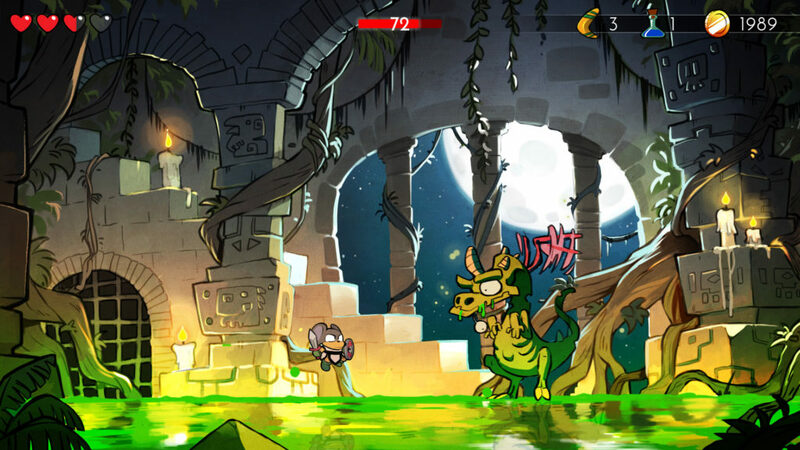 Wonder Boy: The Dragon’s Trap is a remake of the third Wonder Boy game, originally released for the Sega Master System as Wonder Boy III: The Dragon’s Trap. The gameplay is nearly identical, with only very small tweaks to the original formula being made for modernity’s sake, to the source material. In fact, at the flick of a button you can switch between the remastered graphics and sound to the original retro style. It’s pretty cool to see how these gorgeous environments were once imagined in an 8-bit world. The story unfolds as a young adventurer (you can choose if it’s a boy or a girl) defeats a dragon, only to be cursed in the process and turned into a Lizard-Man. You explore different worlds, connected by magic doors, looking to cure your affliction. Defeating bosses along the way will introduce new human/animal hybrids with different abillites, such as Mouse-Man, which lets you walk up certain walls and ceilings or Hawk-Man, which allows you to fly. Other forms exist as you delve deeper into the connected worlds. Originally released in 1989, the gameplay in Wonder Boy III holds up very well today, especially with the new look applied to it. 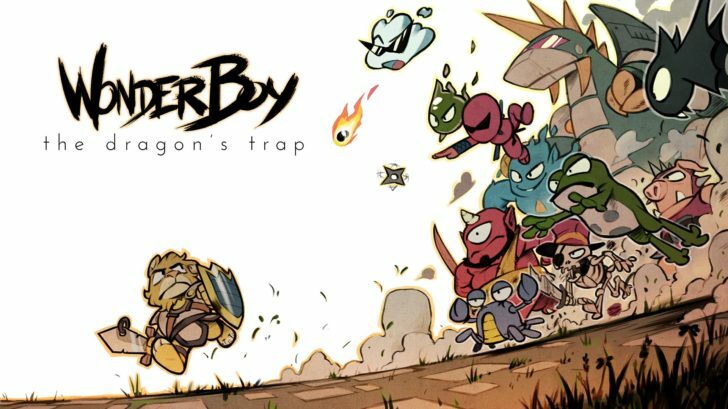 A sidescroller with some exploration and item collecting elements, Wonder Boy: The Dragon’s Trap offers a pretty stiff challenge, but it never feels unfair. You can buy better weapons, armor, and health as you go, which are funded by coins that enemies drop. The upgrades aren’t too hard to purchase, but you’ll definitely have to be aggressive towards enemies and collecting coins to afford them. 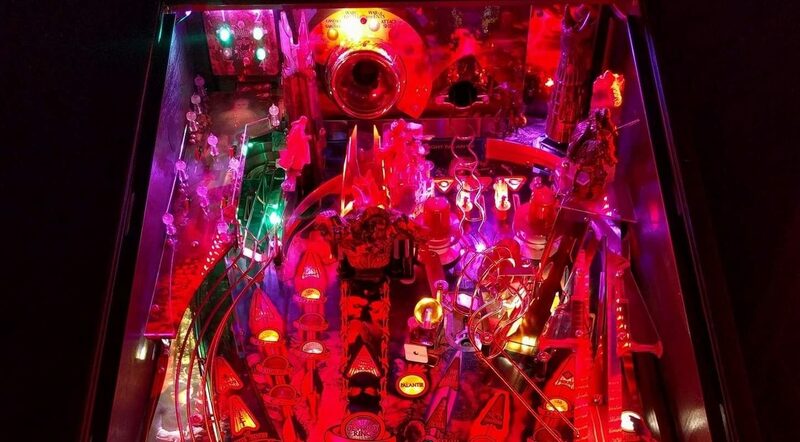 The entire experience clocks in at around 6-7 hours to complete, and it’s well-paced and fun throughout. The game is absolutely beautiful and it sits alongside other fantastic remakes, such as Metroid: Zero Mission as what developers should aspire to. Available for the PC, Switch, Xbox One, or PlayStation 4, the game is a good pickup wherever you feel like playing it.